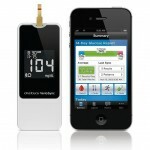 Bluetooth headsets are great companions for cellphones and smartphones. They give you the ability to be more productive while you’re on a call, and they free your hands so you can keep them on if you have to talk on the phone while driving. 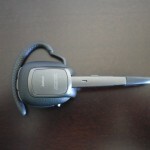 This past week I tested two Bluetooth headsets, the Plantronics Voyager Pro HD and the Jabra Supreme UC. 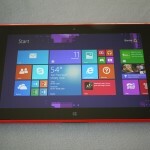 At $100 and $149, respectively, they’re more expensive than some of the models on the market, but for the price, you also get some advanced features like voice commands and the ability to connect to more than one device. Both work well if you make a lot of calls or work frequently from the road, but the Plantronics Voyager Pro HD has the slight edge here. The headset’s design is somewhat bulky, but it offers great sound quality and an intelligent system for passing calls between your phone and the headset. 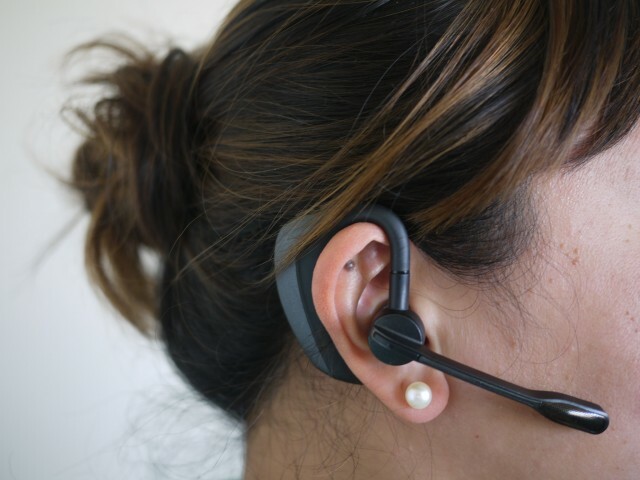 The Jabra Supreme UC is more comfortable to wear and has a more robust voice-command system, but when it comes to the most important feature — audio quality — the headset’s performance is unreliable. 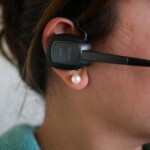 The headsets work with any Bluetooth-enabled smartphone or laptop. 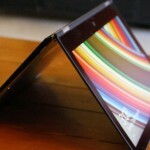 I paired them with the iPhone 4 and HTC One X and had no problems. Both headsets offered voice alerts to let me know when they were connected to the phone, and I appreciated the audio confirmation. I used the headsets in my apartment and while I was out and about, and the Plantronics delivered natural-sounding audio with minimal background noise. I was impressed with the level of volume it cranked out, as I was still able to hear my friend even while walking through a loud street festival. There was some slight hissing, but it was never bad enough that I couldn’t carry on a conversation. People on the other end of my phone call were also happy with the sound quality of the Plantronics headset. While one noted some occasional crackling and another said there was a bit of an echo, everyone said it sounded like a regular voice call. The only problem occurred on a particularly windy day in the city. Even though the Plantronics features technology to block out wind noise, friends said they could still hear it. The biggest downside of Plantronics Voyager Pro HD was its design. The backside of the over-the-ear headset, which houses the battery and radios, is rather large, so it didn’t feel all that comfortable against my head, especially when I had my glasses on. Another highlight of the Plantronics headset is its Smart Sensor system. 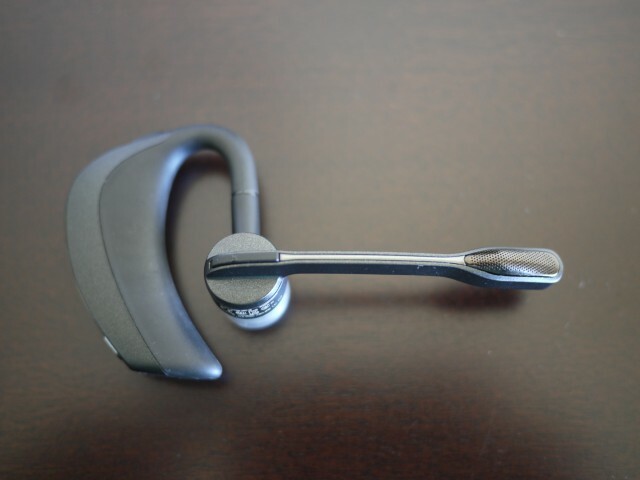 It has a proximity sensor that knows when you’re wearing the headset and when you’re not, so it can direct your calls to either the headset or your phone. 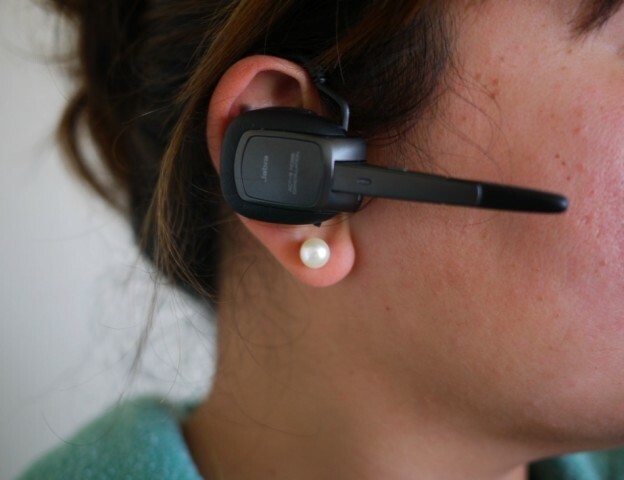 If you’re wearing the headset, calls will automatically be piped through the Plantronics; if not, your phone will ring as usual. The feature worked well in my testing, even when I decided to switch from my iPhone to the headset mid-call. With the purchase of the Plantronics Voyager Pro HD, you also get a one-year subscription (it costs $25 per year after that) to Vocalyst. This voice-and-text service lets you record and listen to voice memos, hear and reply to emails, listen to news and weather reports and more. I tried it out, and everything worked well. However, it doesn’t support corporate email accounts, and while the idea behind Vocalyst is nice, it’s not a reason to buy the headset. 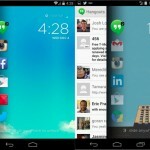 There are numerous voice apps available on smartphones today — like Siri and Speaktoit Assistant — that can do so much more and don’t require a yearly fee. The Jabra Supreme UC uses always-on active noise cancellation and noise blackout technology to produce the best sound for both the person wearing the headset and the person on the other end of the call. On my end, conversations sounded great. The audio was rich and voices sounded true to life without any distortion. 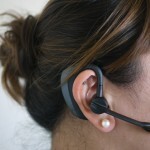 But, like the Plantronics headset, the Jabra struggled with wind noises, which friends noticed. The Jabra also had some hissing in the background, but it provided enough volume to hear callers even while driving in a car on the freeway. With both headsets, it was nice to be able to have my hands free to type notes while working, and to talk on the phone while getting some household chores done. 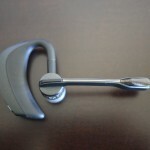 All that said, the experience on the receiving end of the Jabra headset wasn’t great. My friends said that the audio sounded hollow and had a bit of an echo, as if I were on a speakerphone. Everyone could still understand what I was saying, but most preferred the audio quality of the Plantronics. The Jabra Supreme UC has a small hook that fits more easily behind the ear than the Plantronics, and it has a plush leatherette earpiece that goes over the ear for a comfortable fit. Both headsets feature a boom mic, which makes the headset longer but brings the mic closer to your mouth for better sound quality. The mics can be folded away when not in use, but again, Jabra wins in design with a more compact size. The Jabra also offers a bonus: A USB adapter that you can plug into your computer, connecting the headset and PC via Bluetooth for making calls on services like Skype. You can do the same with the Plantronics Voyager Pro HD, but you have to pay an extra $80 for the adapter. Also, while you can use voice commands with both headsets to dial a contact number, only the Jabra allows you to ignore and answer calls with your voice. Shared features between the headsets include voice dialing; multipoint technology, so you can pair them with up to two devices; and A2DP support, which means you can wirelessly stream music from your phone to the headset. All worked as advertised. The rated battery life for both headsets is six hours. In my battery tests, the Jabra fell just 10 minutes short of six hours. 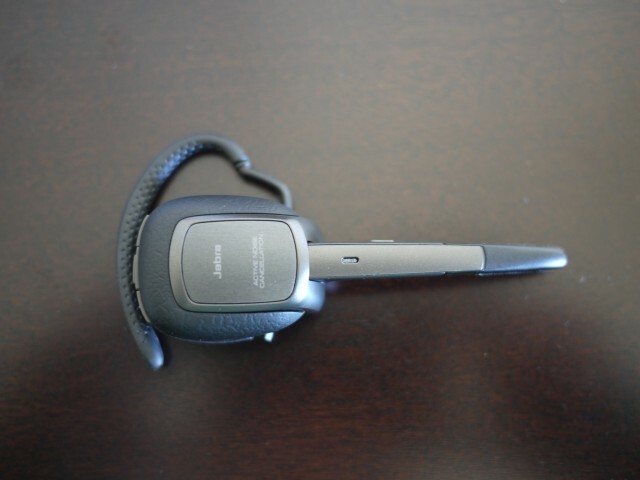 The Plantronics headset’s proximity sensor automatically turns the device off, making it trickier to test the battery life, but it came in at six hours and 25 minutes. While design is certainly a key aspect of any product, the Plantronics Voyager Pro HD proves to be the better choice by delivering on the most important aspect of a Bluetooth headset — audio quality.